Earth Day was Sunday, April 22nd, and we celebrated! We celebrated with an herb planting project. Initially, we wanted these herbs to serve as natural bug repellents, not as herbs we’d use in the kitchen. Our house backs up to some woods. One day we will get a deck, and we don’t want to get too bug-bitten. We also don’t want to risk killing any bees by having our yard sprayed, so this seemed like a great solution. Despite seeming like a great solution, the project evolved. I thought I’d done a great job of documenting all of our progress. It turns out I didn’t. So here are Sean and Wes doing other yard activities over the last few months, with the herbs in the background. Above you have the sandbox Sean started to build last summer. When Sean decided this project really made more sense as a regular herb garden, we decided this sandbox would be great as an herb garden. The yard project you seeing happening here is Sean and Wes planting wildflowers to help attract bees. We’re very concerned about the pollinators! Above is a freshly-ish planted garden on Father’s Day, and then Sean and Wes digging a trench for a drainage pipe with our growing herbs in the background. 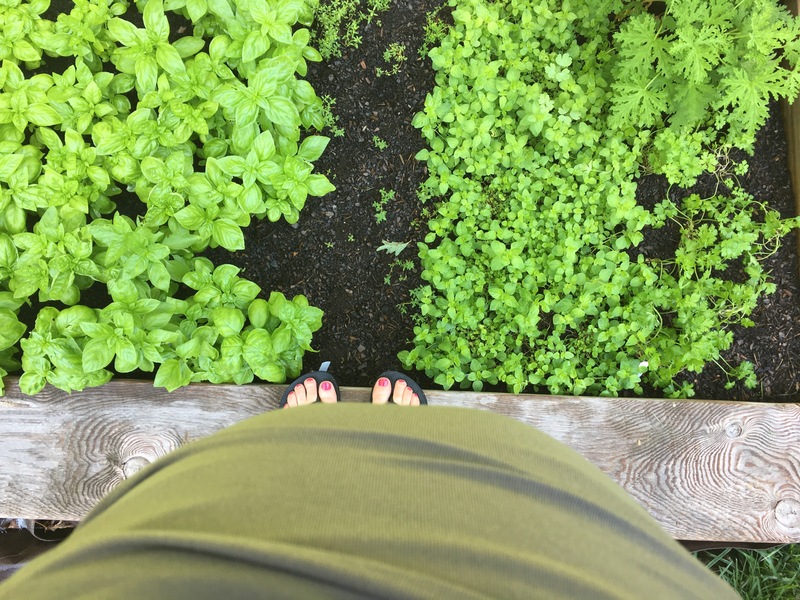 A few weeks ago we had so much basil! Finally! So we made a pesto for our Sunday family dinner. I’d link a recipe but Sean was in charge and when Sean is in charge he just figures it out. It was so satisfying to make the pesto entirely from basil from our own garden. 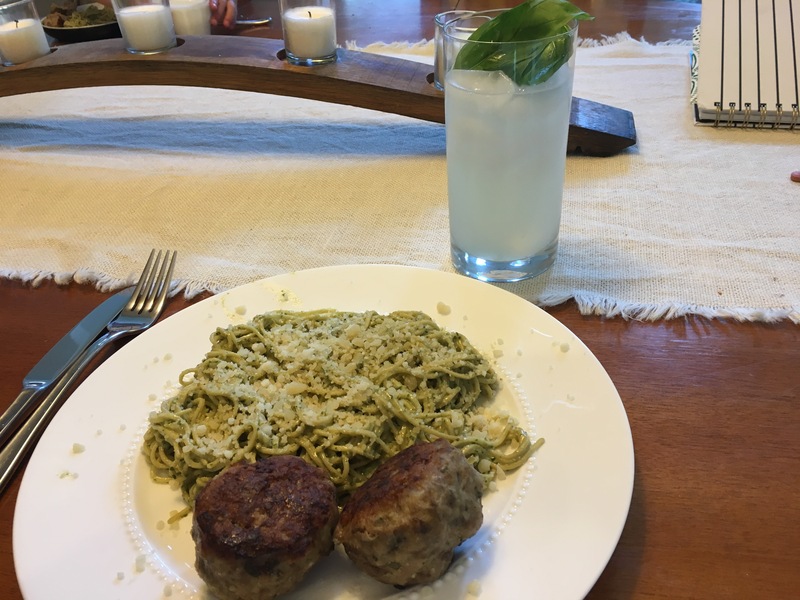 We have another surplus of basil now and in a few weeks hope to try this recipe. Ice baths and cheese clothes are so up Sean’s alley. Plus, we haven’t done anything with heirloom tomatoes yet this season, and it seems like something we have to remedy before the season is over! This entry was posted in crafts & projects by Sarah. Bookmark the permalink.